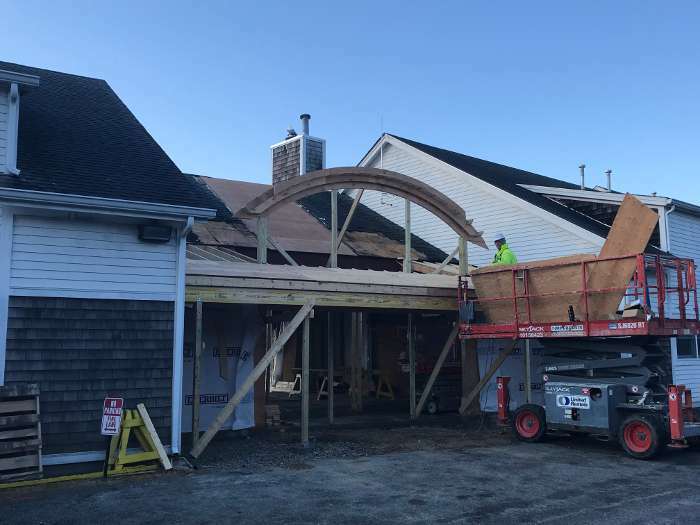 Structural engineering design for renovations, alterations, and additions to the existing Clubhouse at the Weekapaug Country Club. 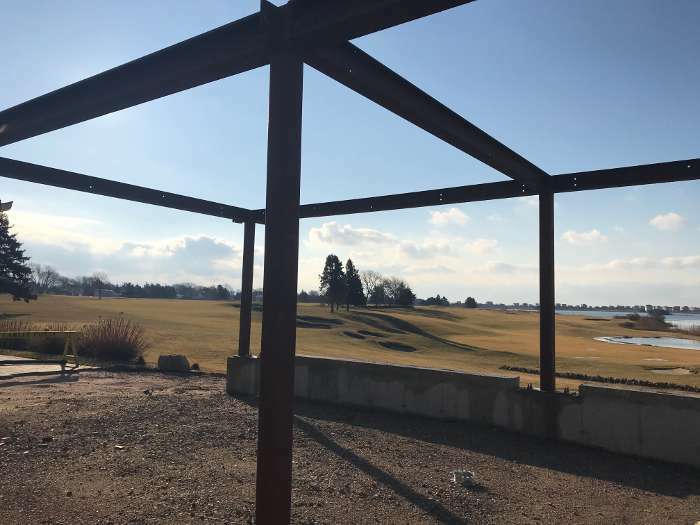 Renovations and Alterations: The existing Clubhouse structural framing is a combination of concrete topped metal deck on structural steel and wood framing. 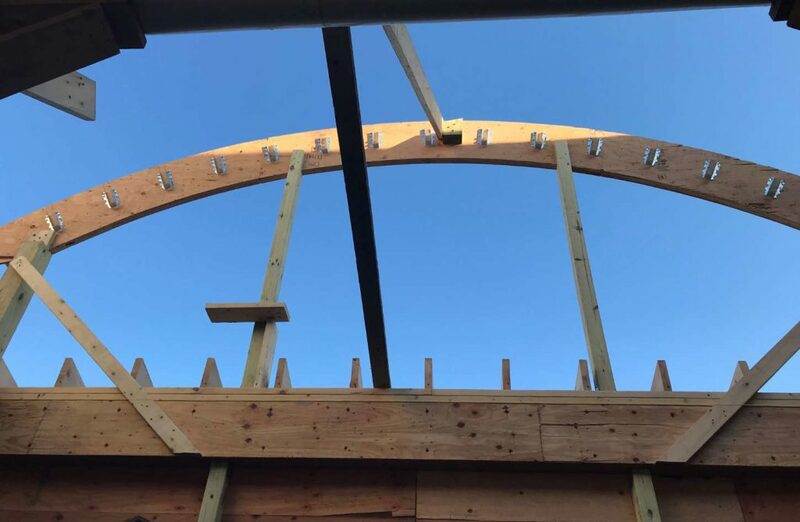 Wood framed shears and structural steel moment frames comprised the existing lateral load resisting systems. Structural alterations include the relocation of braced frames with new shearwall to accommodate proposed openings. Design of new structural steel beams, columns and concrete foundation for removal of existing columns. 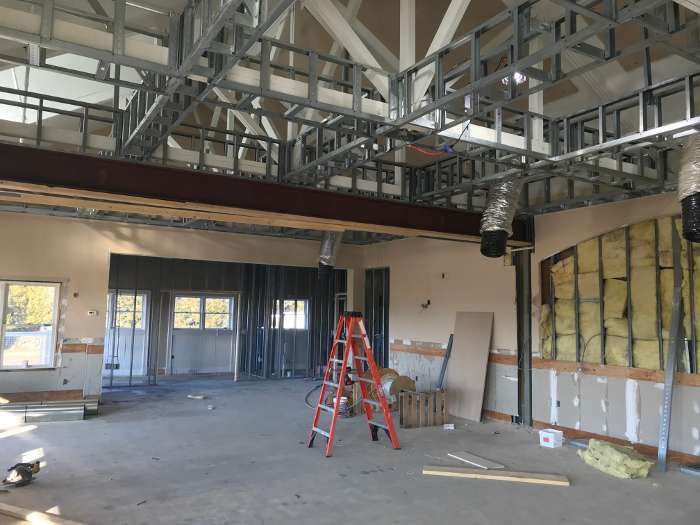 Design of new structural steel framing for proposed folding partition walls. 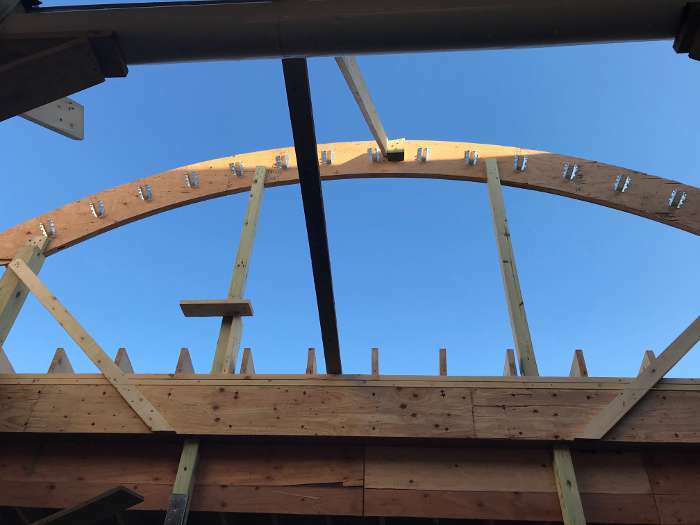 Additions: e2 engineers designed a structural steel and wood framed new entry addition with vaulted dormers. 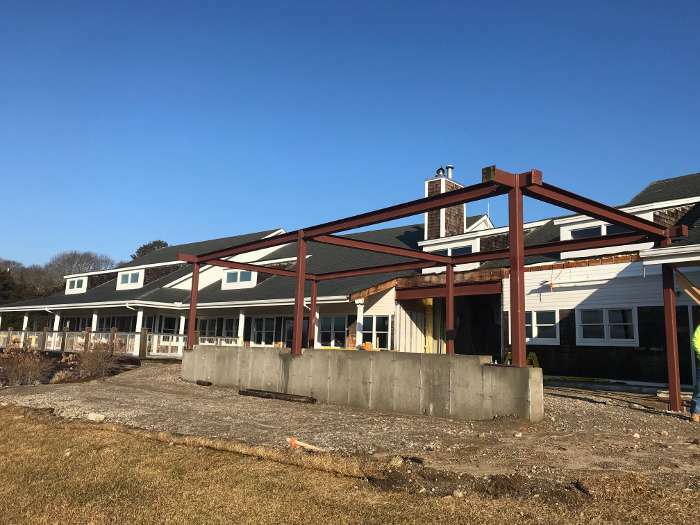 A separate kitchen addition with new structural steel and wood framing on new concrete foundation was part of the project scope.